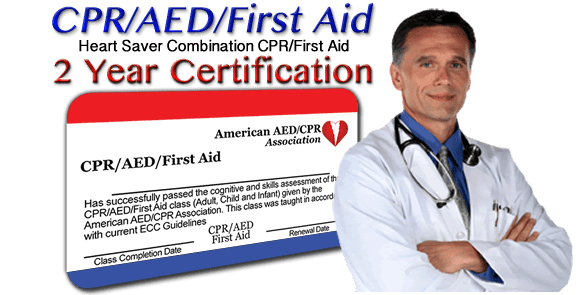 Quality CPR with good compressions in conjunction with adequate ventilations will give your victim the best chance of survival. If you are faced with an emergency situation and do not have proper protective equipment then it is acceptable to do Compression Only CPR. Since this is a professional level course, Compression Only CPR is recommended for rescuers without protective gear. Survival rates are much higher than with no CPR at al. If you have protective gear, provide full CPR. 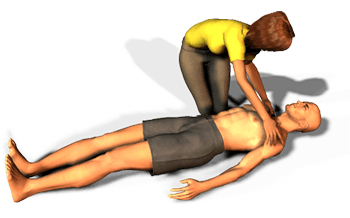 If you do not have adequate protection then provide CPR with normal compressions and no ventilations. Real world emergencies often take place in “less than ideal” situations. If you are in a remote location you may be unable to activate EMS quickly. In the case of an accident, fire or with multiple victims, you may need to improvise. Priority should be given to the safety of yourself and other rescuers. The important thing is that you do what you can do and be sure to stay within your level of training. We hope that if you are faced with an emergency situation, you can take what you have learned in this course and apply it to the best of your ability. We hope you enjoyed the class. Please feel free to review any part of the class you choose. If you have not viewed the “Key Numbers” page, click on it now. It is a valuable tool and will help you remember what you’ve learned.